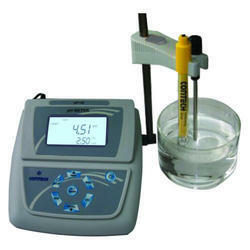 We are the leading manufacturers and exporter of Digital Conductivity Meter and our product is made of good quality. Contech Laboratory Conductivity Meter can measure Conductivity, Resistivity, Total Dissolved Solids(TDS), Salinity & Temperature of any solution. This instrument is suitable in the field of water quality monitoring, aqua culture, biological agriculture, scientific & educational research, food safety, petrochemical and environmental protection. It uses ECNG01 glass electrode with a platinum plate sensitive element coated with platinum black to avoid errors due to polarization especially in solutions of high conductivity. We are the leading manufacturers and exporter of Analytical Scale and our product is made of good quality. 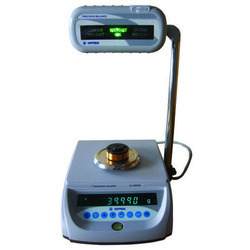 These scales are commonly used in various laboratory and pharmacy for the purpose of measuring the small weight of different chemicals in the sub-milligram range. Moreover, these analytical scales are available with us in bulk with tamper proof packaging. 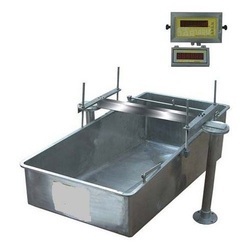 We are the leading manufacturers and exporter of Milk Bowl Weighing System and our product is made of good quality. Our scale is best for small milk collection centers and bowl type scales for big dairy farms. This scale is manufactured utilizing supreme grade material and cutting edge technology in synchronization with set norms of quality by our professionals. In addition, offered scale is tested by a quality examiner on the predefined standards for dispatching a defect free range. 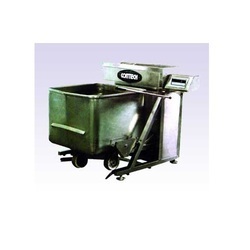 Platform Scales for small milk collection centers and Bowl type scales for big Dairy Farms. Rugged construction to withstand rough usage in dairy farms. Optional stainless steel bowl in S.S.304. We are the leading manufacturers and exporter of Platform Scales With Ramp And Rollers and our product is made of good quality. The provided platform scale is manufactured by using the best quality material and advance technology in sync with set norms of the industry. In addition to this, our platform scale is appreciated among customers for ease of loading and unloading of carboy and drums. 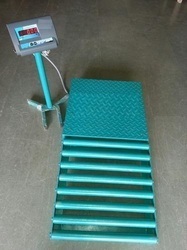 Our platform scale is available in numerous specifications at competitive rates. 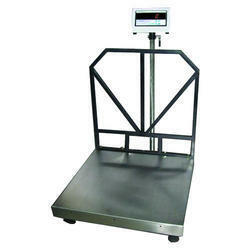 We are the leading manufacturers and exporter of Static Check Weighing Systems and our product is made of good quality. 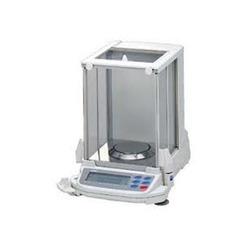 Comes with status indication weight under, weight Ok, weight over, offered weighing system is manufactured by using optimum grade component and the latest techniques by our skilled professionals. This weighing system has illuminated status display for clear and distant viewing. Also, this weighing system is well tested by experts so as to deliver a defect free range from our side. We are offering our valued clients with the best in class range of Industrial Weighing Scale. Robust construction and accurate readings. Looking for Scales for Special Applications ?